Chance are if you've got an iPhone you'll know exactly what Flight Control is. If not, shame on you. 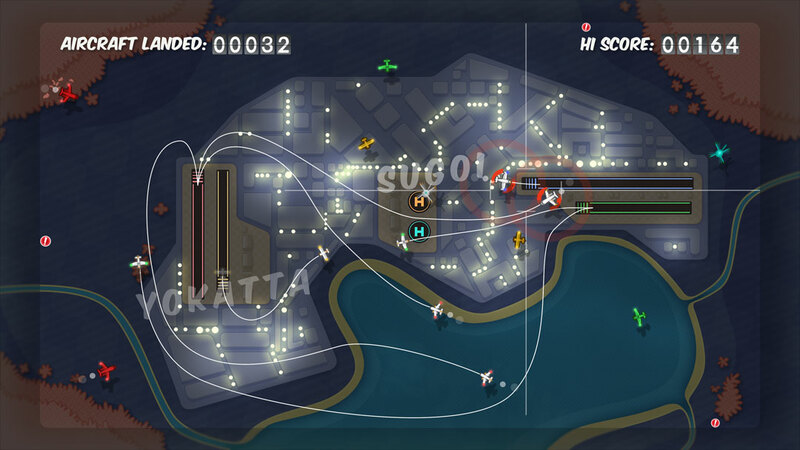 Flight Control is the top down air traffic control game where you guide a multitude of aircraft onto different runways over the course of a variety of different maps. It's been hugely popular on the iPhone and more recently on the iPad, using the touch screen to let you draw the routes that the planes will take. And now, to coincide with the release of Playstation Move, Firemint have released the game on the PS3. So how does it fare? Quite simply the translation is excellent. Lets not kid ourselves, this is not a game that's taxing the PS3 but in terms of playability it's hard to fault it. The Motion Controller is used to draw the flight paths, simply hover an icon over an aircraft and hold down the trigger button, then trace a line on the screen to the relevant runway. Simple. Of course it gets hectic, but if anything it's slightly easier on a TV to keep track of the planes and helicopters, although the lines you draw on screen will be slightly less straight than they were on the iPhone. Or that might just be my shaky hands. It looks fantastic on a big screen, the HD images as bright and colourful as they are on the iPad and there's even an exclusive map for the PS3 version which has day and night effects with teeny tiny planes. It gets proper mental very quickly. Apparently you can play Flight Control with a Dual Shock but I imagine it's no where near as intuitive as it is with Move. However at £3.99 this is an absolute bargain for one of the most addictive hand held title of recent years. That it's translated so well on to one of it's big brothers is great, although it does feels slightly less immersive than the iPhone version, could this pave the way for more of the same? Flick Kick Football on PS3 anyone? It's certainly a great way for Sony to get there new controllers up and running and it would be nice to see more Apps, that have been big hits for Apple, get a release on the Playstation with some beefed up HD visuals. It works the other way after all with stripped down versions of FIFA etc on the iPhone. A promising start from Sony with Move, and if you've invested in the new kit, Flight Control is a must have.